Hi there! I’ve already done a couple of posts about Olay products recently – and I’ll be doing a lot more. 🙂 I’m a real Olay nut and I’m currently testing several different products. I know I’ll always return to the incredible Complete Care Day Fluid, but that doesn’t stop me from trying different moisturisers in between. At the moment I’m using Olay Anti-Wrinkle Firm & Lift Day Lotion. I’m quite impressed with the product because it’s similar to my favourite Complete Care moisturiser, and I can see that it might become one of my beauty staples. And here’s why: I love the formula and the scent of this moisturiser. It smells wonderfully sunny and optimistic and it moisturises my skin very well without leaving a greasy film behind. 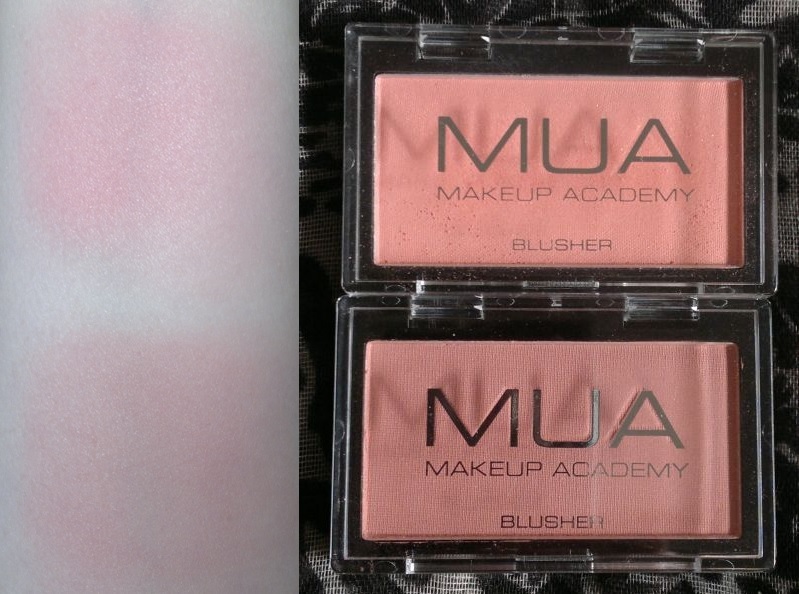 It’s also perfect under make-up because it’s easy to apply and it doesn’t sit on the skin. I cannot comment on its wrinkle-smoothing qualities because – thanks to Olay – I don’t have wrinkles, but that goes to show that Olay’s products really work. What can I say other than… you need to try this moisturiser if you haven’t already. I cannot recommend it enough. 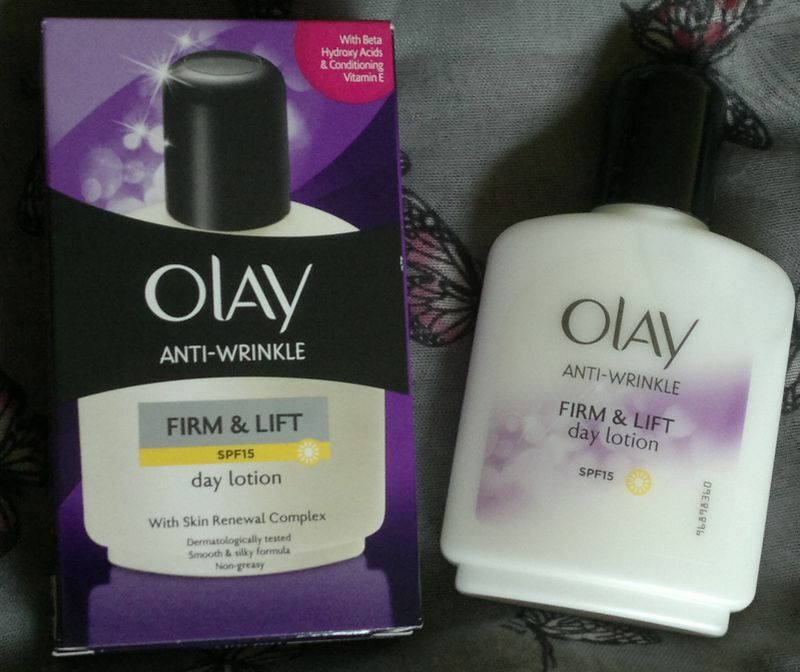 Olay Anti-Wrinkle Firm & Lift Day Lotion is available as 100 ml for £10. However, there’s always a half price offer somewhere, so you can buy this gorgeous moisturiser for £5! Hi there! I went a little overboard with my Superdrug shopping again. This time Superdrug’s Strawberry & Raspberry Fruity Body Spritz was among the random items I felt I had to have. I’ve been looking for the perfect juicy berry fragrance for years. I can’t bring myself to love the fruity scents from The Body Shop (too synthetic) or Yves Rocher (too sweet), so I was hoping this one could be it. Well, it’s not. For once, the strawberry note is too pronounced while the raspberries remain in the background. I also hoped the scent would be at least somewhat fresh – but it’s quite sweet, so it wouldn’t be a good idea to wear it on hot summer days. On a positive note, the scent lasts for a few hours and it’s a lot less synthetic than The Body Shop’s fruity body mists. If you are looking for an inexpensive and sweet berry fragrance that’s also cruelty-free, Superdrug’s Strawberry & Raspberry Fruity Body Spritz (100 ml) can be yours for £1.99 only. Hi there! Another post about random products, but… I’ve discovered something new – well, something that’s new to me! I can’t remember the last time I bought a Rightguard product, but there was a half price offer recently, so I picked up Rightguard Shower + Vitamin C with Pink Grapefruit and Rightguard Shower + Oils with Argan, Marula and Almond Oils. And these two shower gels are absolutely delightful. I love the Vitamin C shower gel and its gorgeous pink grapefruit scent in the morning. It’s refreshing and energising – it’s the perfect shower gel to start the day with. The oils-packed shower gel is a new evening favourite. It smells warm and feminine, but it’s not overpowering. The shower gel is gentle and caring and perfect when I can’t be bothered to moisturise before I go to bed. 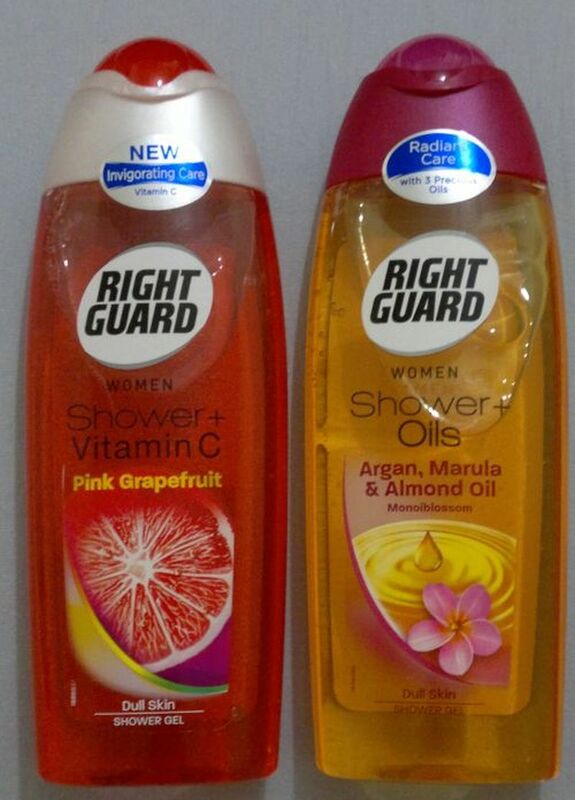 If you haven’t tried these Rightguard shower gels already, you should give them a try. I bet you’ll love them just as much as I do. As always, keep your eyes peeled for half price offers and you can pick them up for £1. Hi there! A couple of days ago I had to say goodbye to my makeup bag. It was quite worn out anyway, but when the zipper broke, it had to go. 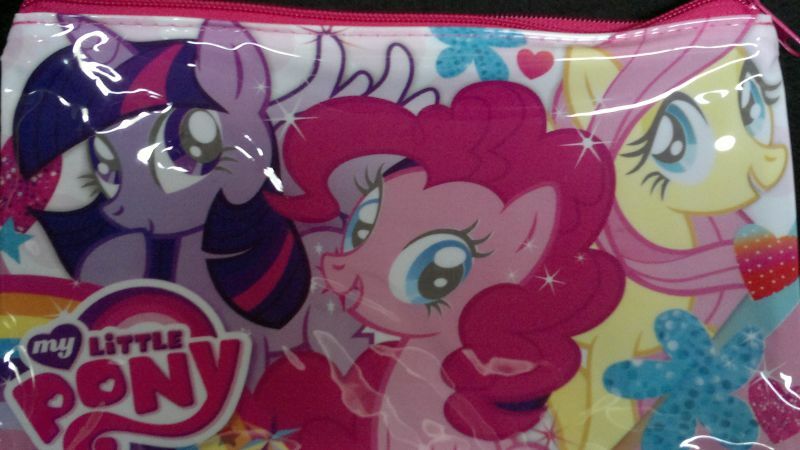 Now I’m someone who has dozens of makeup bags (because they’re just given away as free gifts everywhere), but that didn’t stop me from picking up this cute My Little Pony makeup bag at Poundland. Who else came across something cute that made them smile recently? Thank you for stopping by!